Health care is the next frontier for DeepMind, says researcher David Silver. AlphaGo's uncanny success at the game of Go was taken by many as a death knell for the dominance of the human intellect, but Google researcher David Silver doesn't see it that way. Instead, he sees a world of potential benefits. 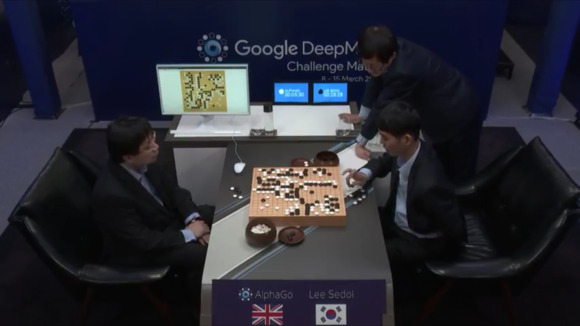 As one of the lead architects behind Google DeepMind's AlphaGo system, which defeated South Korean Go champion Lee Se-dol 4 games to 1 in March, Silver believes the technology's next role should be to help advance human health. "We'd like to use these technologies to have a positive impact in the real world," he told an audience of AI researchers Tuesday at the International Joint Conference on Artificial Intelligence in New York. With more possible board combinations than there are atoms in the universe, Go has long been considered the ultimate challenge for AI researchers. AlphaGo was trained first on expert human moves, then on millions of games of self-play. In its victory against Se-dol, its moves were described by experts as "creative" in that they obviously didn't derive strictly from its training materials. Now, DeepMind is applying AlphaGo's deep-learning smarts to applications that include health analytics and health assistants for delivering personalized medicine, Silver said. Earlier this year, U.K.-based DeepMind launched a health division. This month, it announced a research partnership with Moorfields Eye Hospital that will focus on applying machine learning to diabetic retinopathy and age-related macular degeneration. It's also been working on several clinical mobile apps. Many of the AI advances that allowed AlphaGo to achieve the success it did in Go could also help it excel in health care. Rather than find the best moves through sheer computational force the way IBM's DeepBlue did to beat chess champion Gary Kasparov, AlphaGo's approach is based on convolutional neural networks and reinforcement learning, allowing it to essentially teach itself over time. 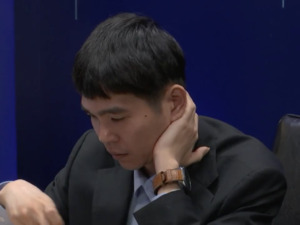 "Of course beating Se-dol was exciting, but for me, even more exciting than the achievement itself was the manner in which AlphaGo did it," Silver said. "It showed it can learn from data and self-play to figure out knowledge for itself." Reinforcement learning has long been considered "a nice pipe dream," Silver said. "Now it feels like these methods really work. That's a real change. We can now look around at many many different domains. We're by no means done with AlphaGo."